Add in unsweetened applesauce, eggs and vanilla and stir. Lastly add the blueberries and stir gently. 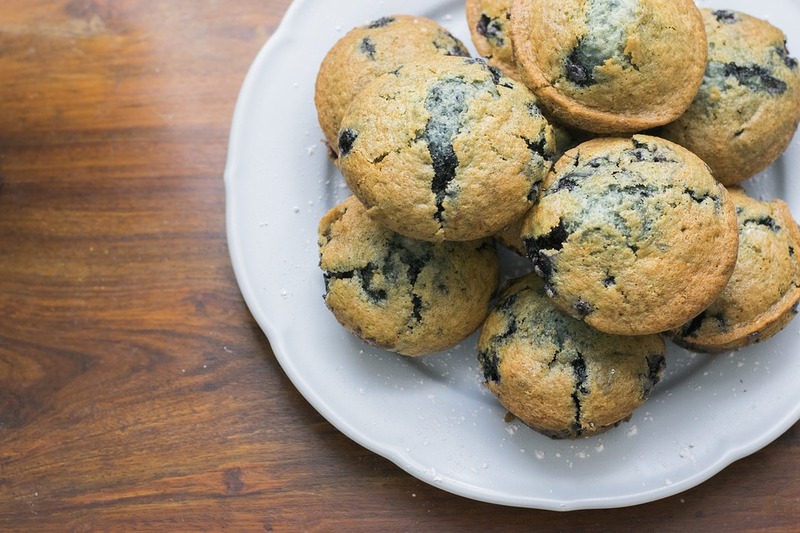 Spray your muffin or mini muffin pan with coconut oil spray. Bake 15-18 minutes until golden.